This was the first match between the nations after rise of the Nazis and Hitler in power in Germany. This match was scheduled to be held at Tottenham Hotspur’s White Hart Lane stadium. Tottenham had a historically traditional jewish support. There were protests about this match and many wanted the match to be boycotted. TUC, the largest Federation of Trade Unions became involved. TUC (Trade Union Congress) asked the Home Office to ban this match. On November 27, 1935, TUC formally requested the match to be called off. Two days later, the government refused this request. On December 2, TUC had an audience with the Home Secretary to no avail. 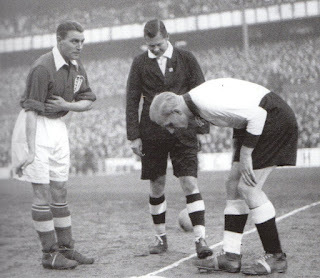 The match went ahead with no trouble with England winning (3-0) on December 4, 1935. 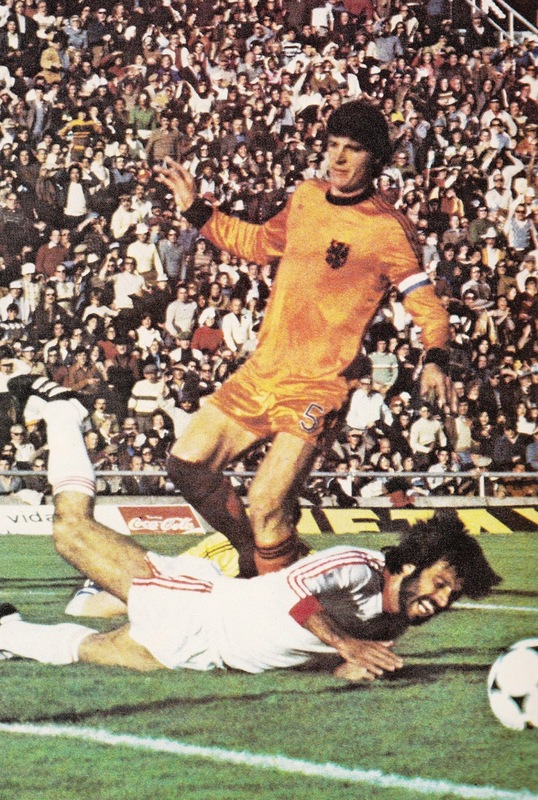 The 1978 World Cup was one of the most politically charged tournaments. 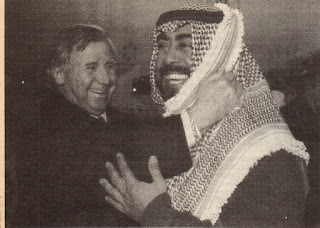 In various nations there were calls to boycott the tournament to protest the Videla Regime. 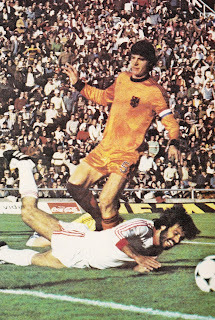 To put a positive face for the World, the magazine ‘El Grafico’ (through obvious governmental pressure) published an open letter on the June 13th edition, that was allegedly written by Holland Captain Ruud Krol to his daughter. In this letter, Krol is full of praise of the Argentinean hosts and tells his daughter that everything is peaceful and ‘soldiers fire flowers from their guns’. Krol denied having ever written that letter. When the Yugoslavian conflict started in June 1991, it naturally effected the National team as well. 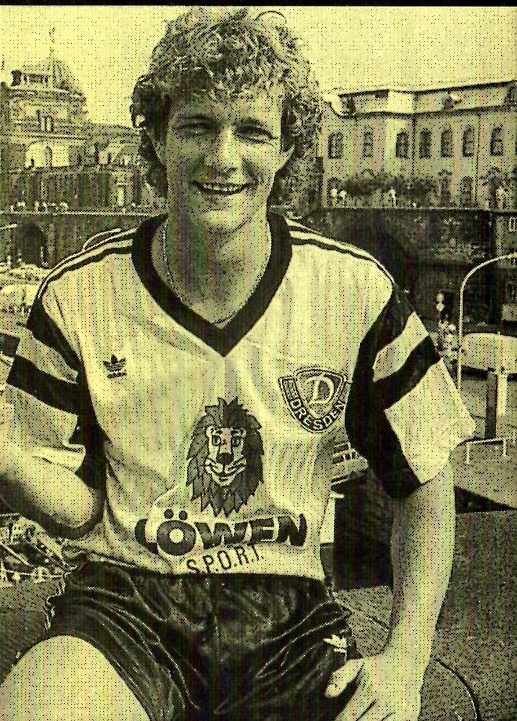 In the fall of 1991, Prior to Yugoslavia’s EC Qualifier vs. Faroe Islands on October 16th, star midfielder Robert Prosinecki had to remove himself from national team duty. He had been receiving death threats from Croatian extremists if he turned up for the national team. It is important to remember that Prosinecki’s father was Croatian and his mother was Serbian. He never played for Yugoslavia again and started playing for the new independent Croatia in 1994. Dynamo Dresden striker Torsten Gutschow disclosed in early 1992 that during the Communist era of East Germany, he had spied for the Secret Police Stasi. He spied on up to 60 people, including 10 of his teammates. Among others that he had to spy on were Dynamo Dresden President Wolf-Rudiger Ziegenbalg, Dresden manager Reinhard Hafner and even his future in-laws. He was approached when he was 17. He was in love and Stasi told him either he would be a spy or would not see the woman he loved. After that at matches he was called ‘stasi pig’ and was ostracized, despite appeals of calm from National team manager Berti Vogts and Matthias Sammer. He left at the end of that season and joined Turkey’s Galatasaray, but returned to Germany a year later. Sheikh Fahad Al Ahmad Al Jaber Al Sabah was the Kuwait FA chief who during the 1982 World Cup match vs. France (June 21, 1982, World cup, France 4-Kuwait 1), came onto the field and protested Alain Giresse’s goal and was successful in having it disallowed. For his interference an £8.000 fine was imposed on the Kuwaitis by FIFA. When Saddam Hussein’s Iraq invaded Kuwait on August 2, 1990, he was killed in that first day defending the Dasman Palace.